Protect your investment and keep your vehicle looking sharp. 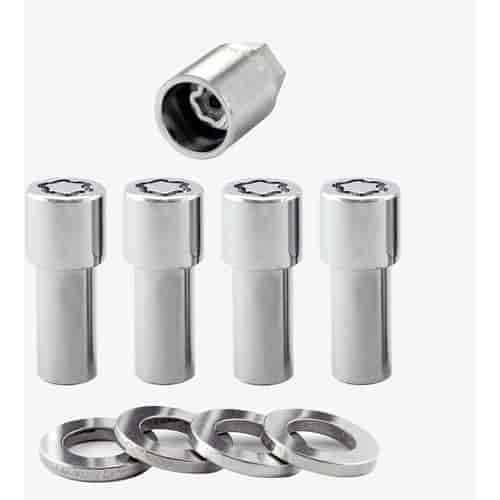 McGard Locking lug nuts, or Wheel Locks, look like regular lug nuts, but they have a computer-generated pattern that matches a special hex key to remove the wheels. Keep your wheels safe with McGard locking lug nuts. Five Lock Sets Wheel & tire security for sport/utility vehicles with Original Equipment rear mounted exterior spare tire carriers. Identical to our 4 lock cone seat sets except each kit contains 4 locks for the road wheels and 1 lock for the spare tire, with one matching key for all 5 locks.